Xiaomi just announced its latest budget phones dubbed as Redmi 6 and Redmi 6A in China. The company’s latest smartphones in the Redmi series come with some latest features such as 18:9 display and Android 8.1 Oreo. Both the phones have a polycarbonate back panel with a brushed metal surface. Xiaomi launched the latest budget phones in China as it had promised last week. The new Redmi 6 and Redmi 6A are the successors of Redmi 5 and Redmi 5A that were announced last year. Both the phones have mostly similar features except for the camera and hardware. Redmi 6 sports a dual rear camera setup and the Redmi 6A comes with a single 13-megapixel rear camera. The Redi 6 sports a 5.45-inch HD+ (1440 × 720 pixels) 2.5D curved glass display with 18:9 aspect ratio. It is powered by a 2GHz Octa-Core MediaTek Helio P22 (MT6762) processor with 3GB or 4GB RAM and 32GB or 64GB storage, which is expandable up to 128GB with microSD. Talking about camera, the Redmi 6 sports a dual camera setup at the back with a 12MP primary rear camera with LED Flash, 1.25μm pixel size, and a secondary 5MP camera. There is a 5MP front-facing camera. The dual Dual SIM phone runs Android 8.1 Oreo with MIUI 9 on top. It is also upgradable to the recently released MIUI 10 as well. Connectivity wise it supports 4G VoLTE, WiFi 802.11 ac (2.4GHz / 5GHz), Bluetooth 5, GPS and packs a 3000mAh battery. The phone also sports a back-mounted fingerprint sensor and an infrared sensor as well. Dimensions of the phone are 147.46×71.49×8.3mm and its weight is 146g. Coming to the Redmi 6A, it sports a 5.45-inch HD+ (1440 × 720 pixels) 2.5D curved glass display with 18:9 aspect ratio. It is powered by a 2GHz Quad-Core MediaTek Helio A22 processor coupled with 2GB RAM, and 16GB storage which is expandable up to 128GB. Camera wise, it sports a 13MP rear camera with LED Flash and a 5MP front-facing camera. The Dual SIM phone runs Android 8.1 (Oreo) with MIUI 9 on top. It doesn’t sport a fingerprint sensor but has an Infrared sensor. Connectivity options are 4G VoLTE, Wi-Fi 802.11 b/g/n, Bluetooth 4.2, GPS + GLONASS and it packs a 3000mAh battery. Dimensions of the phone are 147.46×71.49×8.3mm and its weight is 145g. 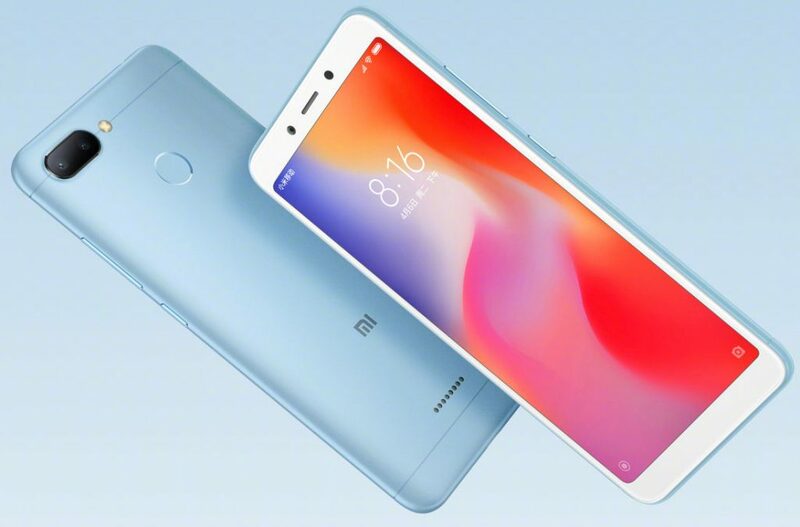 Xiaomi Redmi 6 3GB RAM + 32GB storage variant is priced at 799 yuan (Rs. 8,410 approx.) while Redmi 6 4GB+64GB variant costs 999 yuan (Rs. 10,520 approx.). 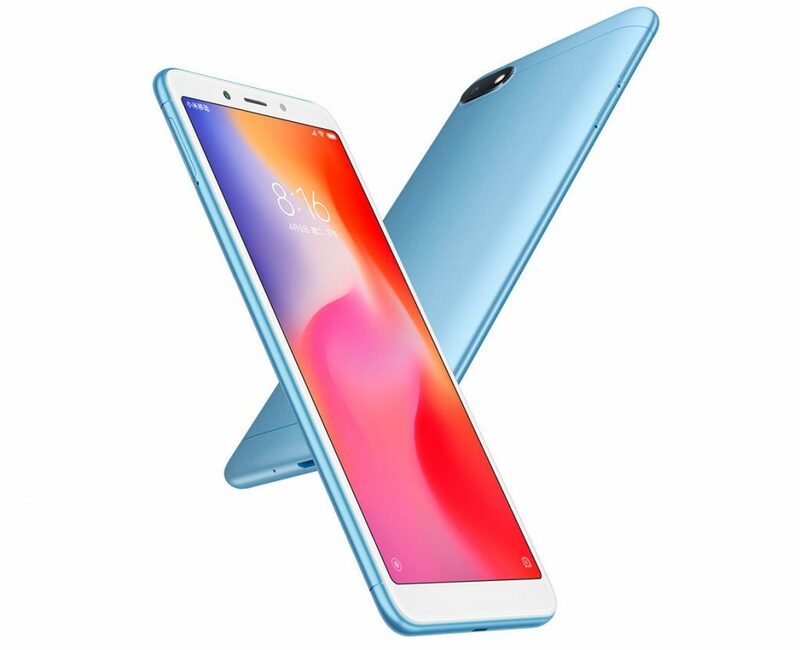 The Redmi 6A price starts at 599 yuan (Rs. 6,307 approx.). Both the Xiaomi Redmi 6 and Redmi 6A come in Grey, Blue, Gold, and Rose Gold colors. These new smartphones will be available in China from June 15. There is no word on its availability in India.